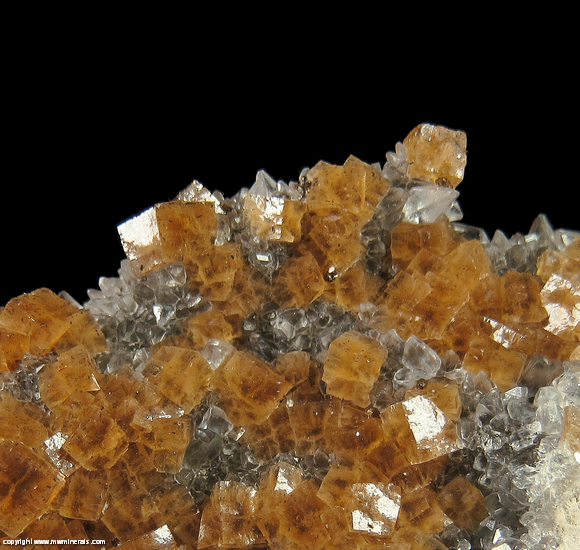 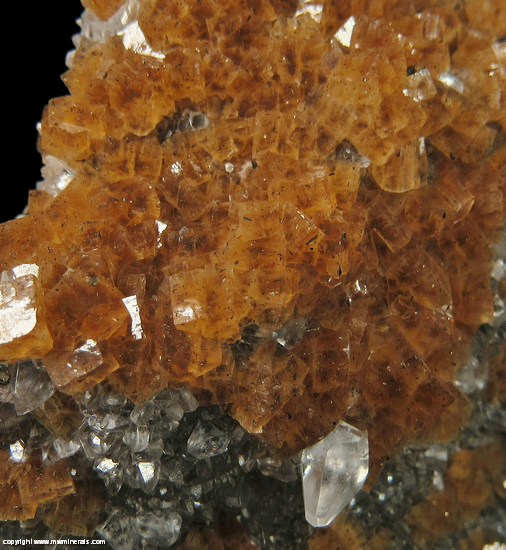 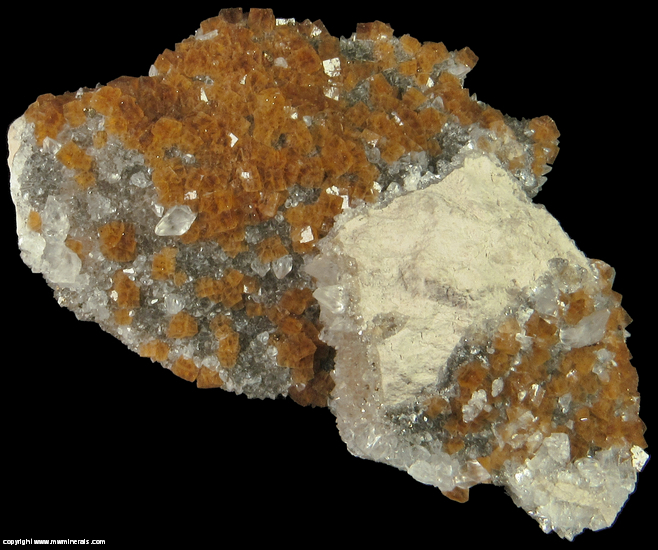 Amber colored cubic crystals of Fluorite cover much of this specimen. 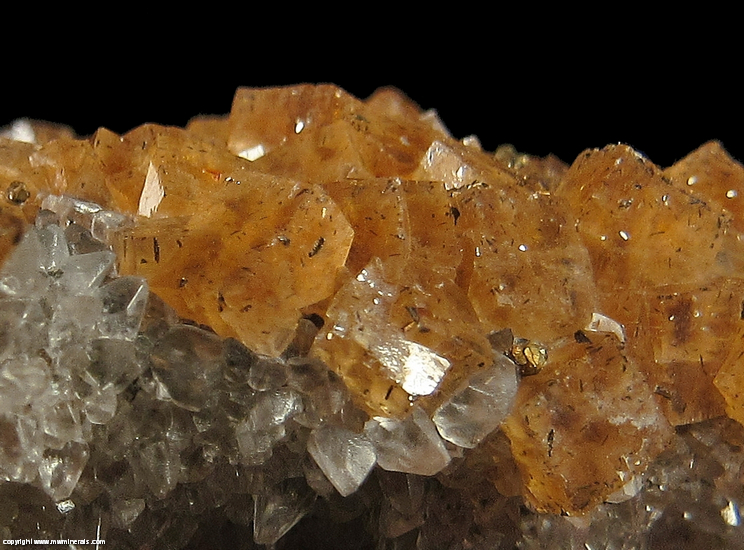 The crystals are well formed and many of which have a darker, phantom in the center. 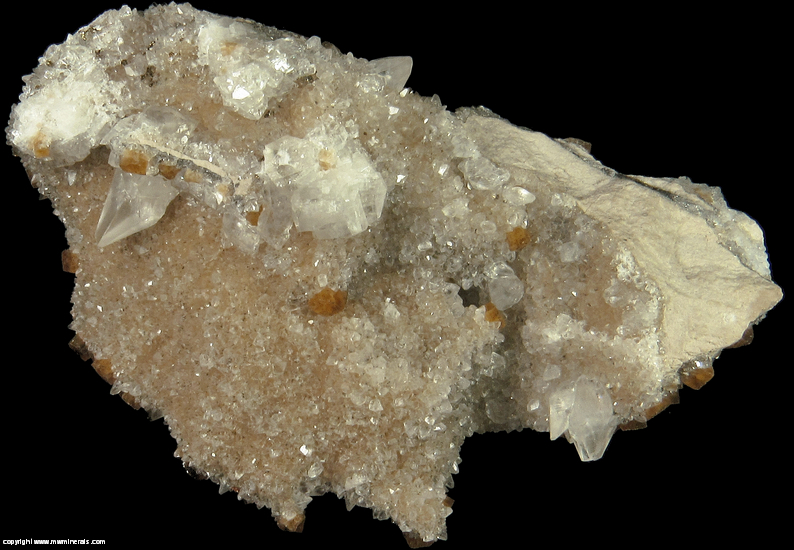 Most of the Fluorite crystals have inclusions of very small, elongated Marcasite crystals. 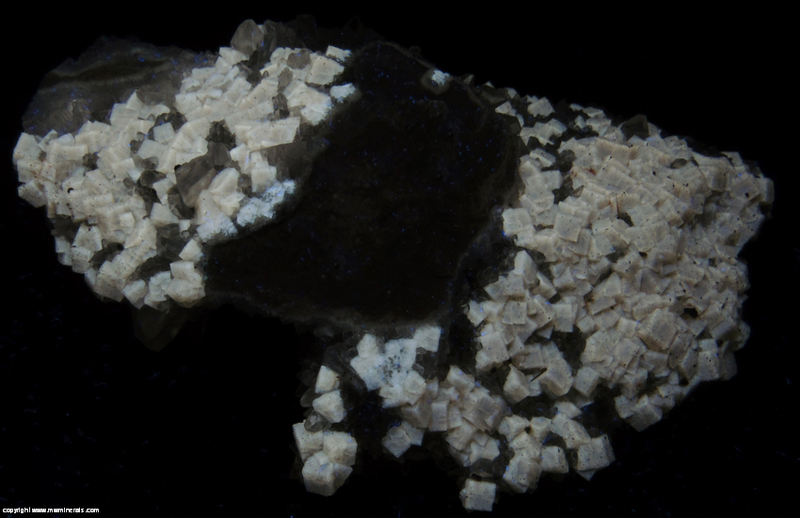 The Fluorite crystals have grown on Calcite crystals which cover most of the surfaces of the specimen. 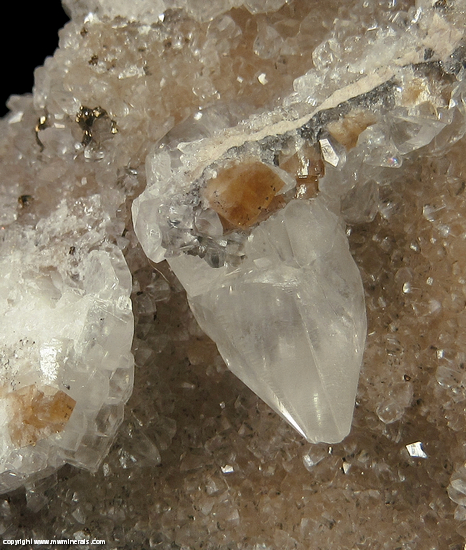 The Calcite ranges in color from gray to white to clear with a few large, clear dog tooth crystals. 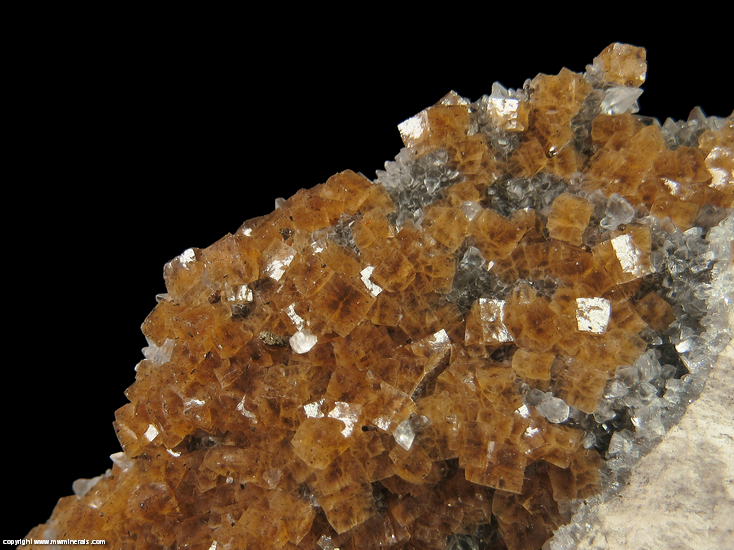 There are a few micro crystal of Pyrite scattered across the specimen. 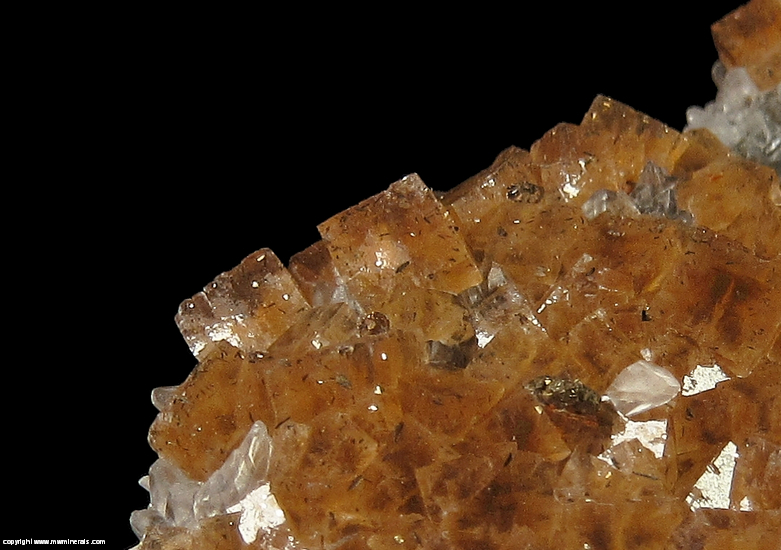 Flaws: The side of the specimen with the most Fluorite is excellent condition . 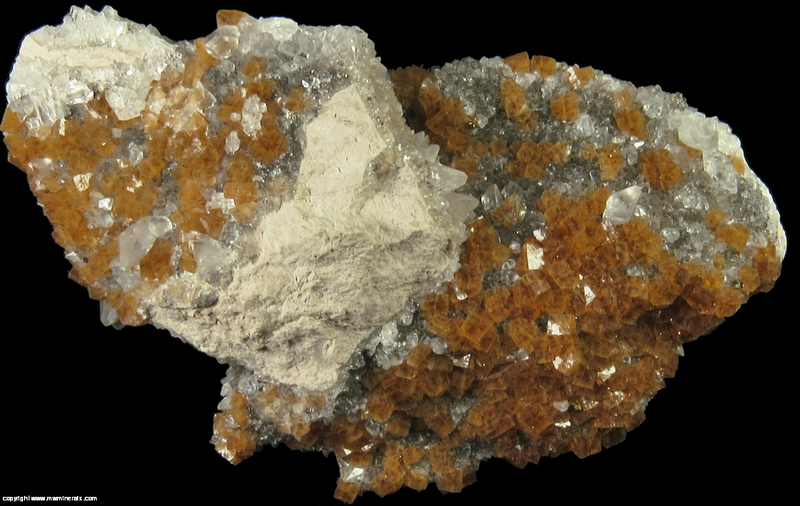 On the other side of the specimen, a few of the Calcite crystals are cleaved.